As a BACP accredited therapist I can provide a regular time and space for you to talk about your troubles and explore difficult feelings in an environment that is dependable, confidential and free from intrusion. I will respect your viewpoint while supporting you to deal with specific problems, cope with crises, improve your relationships, or develop easier ways of living. We may explore what might be holding you back and discover ways of being that are more in tune with what you need. You might see this as a journey with me alongside you. Sessions usually take place once a week. Making this regular commitment to work together gives you a better chance of finding out why you are having difficulties. By using a blend of counselling, coaching and by being in tune with what you are feeling, you can then take time to choose how you wish to respond and behave. You may even decide that you don't have the resources right now to make the changes you wish for, or you may start a process of accepting yourself as a fallible human being who does not get things right all of the time. That process of understanding may help you to live more comfortably with yourself. I offer a free half hour consultation for us to meet and ensure we think we can work together. Alternatively, we could meet for an hour for the usual fee and you would then experience some counselling. 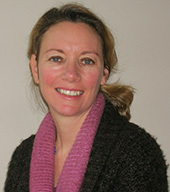 Since completing a degree, I have over twenty years' experience in various roles as an English teacher in Colombia, a Spanish Teacher at a secondary school, Employment Facilitator, Careers Adviser, Carer for a terminally ill family member, Lighter Life Group Counsellor, NHS Counsellor and Private Counsellor, Coach and Hypnotherapist. I find it rewarding to work closely with individuals on various health and emotional issues to promote their well-being and achieve their goals.